These are three of the most popular excuses I hear from artists who express the desire to break into the music industry but for some reason or another, feel like they can’t. In fact, you might have used these same excuses yourself. I know I have. I hear these kinds of things from several hundred artists who email me every week asking for help. These questions inspired me to write a new book about what you can accomplish with 15 minutes per day. 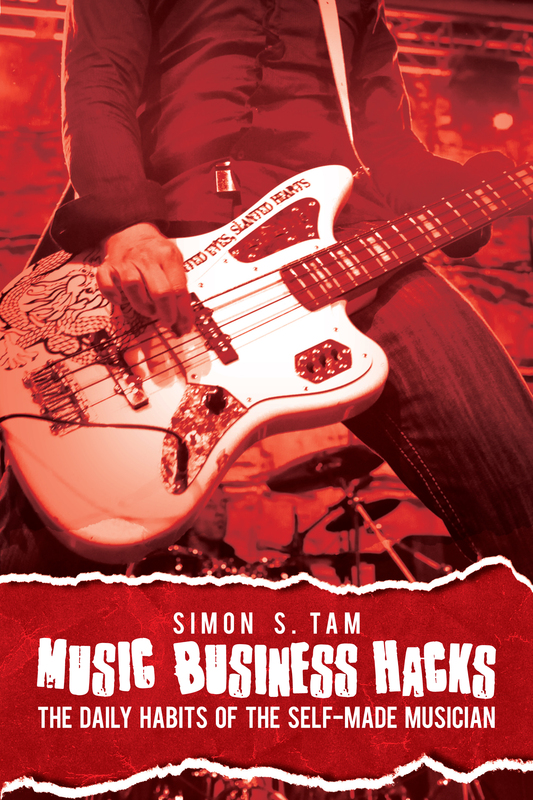 It’ll be a collection of 100+ ideas that you can work on every day, covering topics in the music business, musicianship, things you can do on tour, marketing, etc. You’ll be able to browse through and read a quick lesson for something you can apply that day. This will be like having a manager guide you every day, teaching you important skills to master as well helping you decide how you can spend your time building your music career. I believe in the concept of consistency. I believe that when you mentally create space for something that you are passionate about every day, it’s easier to make progress than if you simply wallow in excuses that prevent you from doing anything. Now you might be asking, why 15 minutes? Why not 30 minutes? Or an hour? Well, you have to start somewhere. And to be frank, some people feel like an hour a day is too much to ask. So I created a book full of exercises that you could spend at least 15 minutes a day on. More than anything else, it’s to get you started and spur some ideas when you’re not sure what to do with your time. If you can commit 15 minutes per day to building up your music career, that’s 91 hours per year. If you can add an extra 5 minutes per day, you’ll invest over 121 hours per year. You decide how much time you want to invest: just make sure it is at least 15 minutes and that you do this every day. I believe in this concept so much in fact that I am writing this entire book 15 minutes at a time. I’m probably just as busy as you are, maybe more so. While I am writing this book right now, I am: working full time, working on a double-Master’s degree program full time, managing/booking 8 artists, playing in an internationally touring band, writing two other books concurrently, writing for five blogs/websites, and go through about 400 emails per day. Yet, I believe I’ll be able commit 15 minutes per day to this. I am starting today, January 14, 2013. I will write from 12:00-12:15pm PST every day. This is as much as a commitment to myself as it is one to you. If you would like to be a part of this and receive a free early draft of the book, send me an email at simon@laststopbooking.com with the subject “15 Minutes.” I’d love to get some feedback from artists to make this useful and exciting for you. Great post. I just came across your blog and have been reading several of the articles you have written. I have really enjoyed your stuff. As a business major and musician, it is good to come across outside ideas from different people on different subjects. I will be sending you an email about “15 Minutes” because I love the idea and the concept. I have a website that I do that I will share with you in the email. It goes along the same lines with music and business (and a little bit of everything). Anyway, again great post and look forward to seeing what comes from this!